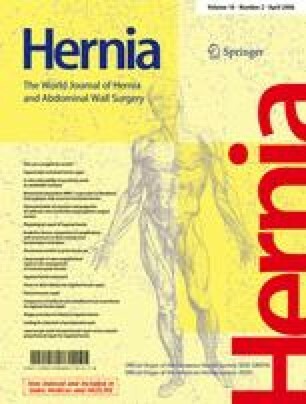 Hernia surgery has been associated with severe pain within the first 24 h postoperatively. The application of cold or cryotherapy has been in use since at least the time of Hippocrates. The physiological and biological effects from the reduction of temperature in various tissues include local analgesia, inhibited oedema formation and reduced blood circulation. Our hypothesis was that cold therapy, applied by means of ice packs, following inguinal hernia surgery, controlled pain postoperatively. Forty patients scheduled for inguinal hernia repair were enrolled in a double-blind, randomized study. Postoperatively, chipped ice in a plastic bag (cold group), and a plastic bag containing only room temperature water (control) were placed over the incision for 20 min. Postoperative pain data were collected at 2, 6 and 24 h after operation according to the well validated visual analogue scale (VAS). The highest pain levels were recorded 2 h postoperatively for both groups. Pain levels then gradually decreased for both the trial groups during the first 24 h postoperatively. There were significant differences in the VAS scores between the groups at 2, 6 and 24 h. We conclude that local cooling is a safe and effective technique for providing analgesia following inguinal hernia repair.